Superdry women’s Gym Tech gold zip hoodie. This zip through hoodie is perfect to layer up during a warm up or cool down due to its thermal properties. This essential hoodie features a fleece lined hood that also has bungee cord adjusters, bungee cord adjuster hem and elasticated cuffs. 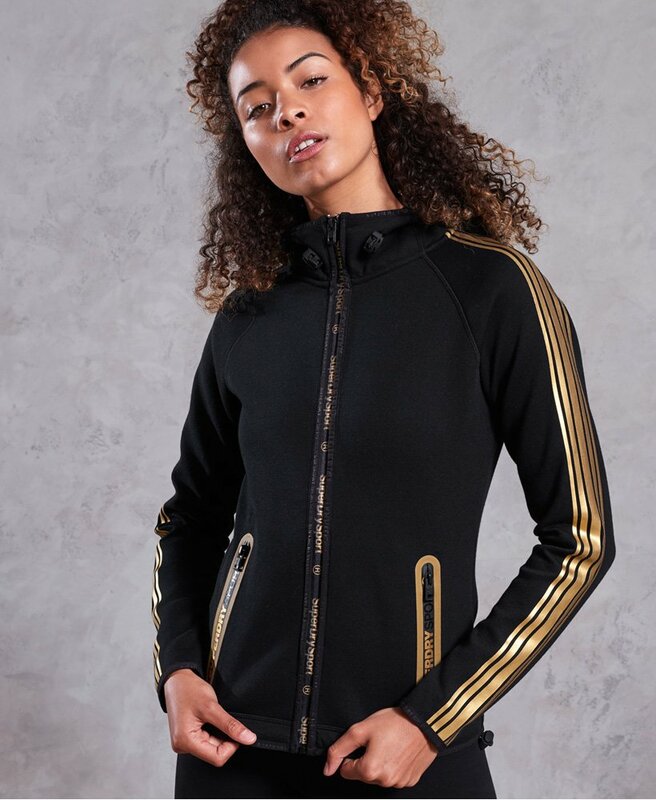 The hoodie has two front zip pockets, striped detailing on the sleeves and is finished with a Superdry Sport logo on the reverse.